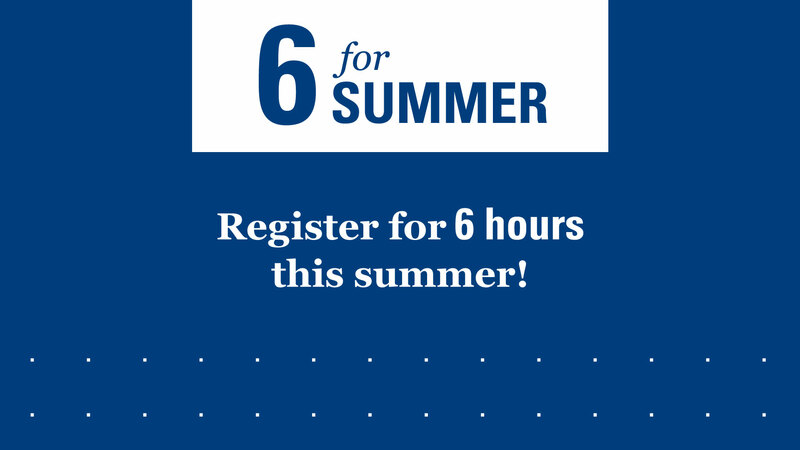 6 for Summer | Register for 6 Hours This Summer! This Summer we want to encourage you to take six (6) credit hours, or two (2) classes as it is a great way to get ahead in your program. As you prepare for course registration to open (April 1) take a look at this PDF with all the course offerings available! Here are some important instructions and policies for your degree level concerning registration. Also, if you are planning to graduate this December make sure your graduation application is submitted before September 4th (MA, MDiv, ThM, Doctoral application; College (including MAIS) application). *Eligible students will be contacted via email after April 11 with instructions on the items they can choose from, from the Locker.